Lewis Carroll’s Wonderland characters are so... well, wonderful that favorite playwright Brian D. Taylor has brought them together in an original story with the same wit and whimsy as the classic tales. 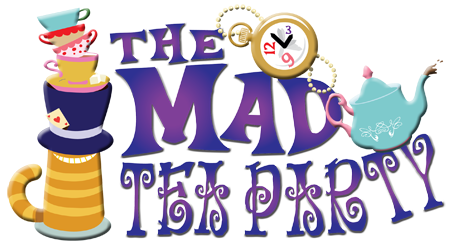 Mad Hatter, Dormouse, and March Hare meet for a tea party to honor Time, who has forgiven the Hatter and set time right once again. When the Jabberwock comes and wreaks havoc, the tea party guests — including the Caterpillar, the Duchess, the Frog Footman, and Tweedledee and Tweedledum — decide that something must be done. Time suggests they travel back through time to the moment when the Jabberwock arrives so that they might catch him. Read more...They travel back several times, but White Rabbit’s watch is fast, Hatter’s is slow, and they just can’t catch the Jabberwock. Finally, Hare realizes they must fix the nick in Time... Time’s cloak, that is, to save them from the Jabberwock! After all, a stitch in Time saves nine! This unique book is a collection of over 80 patterns and illustrations for period and contemporary accessories.